Are you ready to INSPIRE women, make a difference, have LOTS of FUN, AND make GREAT EXTRA $$$$ Part time? Then join our sisterhood of Modern Day Geisha Educators! 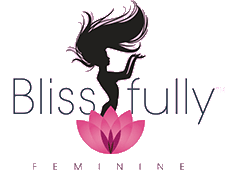 This 5 week training program will give you a firm grasp on everything you need to know in order to teach femininity, masculinity, yin yang harmony, and the actual Japanese ceremony! We will also teach you how to market for your classes, as well as work with you to support you every step of the way. The 5 week course includes a MANDATORY 2 day (Saturday/Sunday) in person training in Orlando, Florida (Dates to be announced)rest of the course will be online, and webinar, and includes reading materials and assignments. Upon completion, you will be a certified Modern Day Geisha Educator with Blissfully Feminine and authorized to host your very own classes in your area. Your income potential will only be limited by your imagination!!! We are looking forward to having you join our sisterhood! !